As you can see, there are a lot of plaster boxes on walls and floors. Some are used for decorative elements while some other conceal functions like lighting, air-conditioning, a sound system and ventilation. The hidden lightning system also provides diffused, indirect and scalable light. 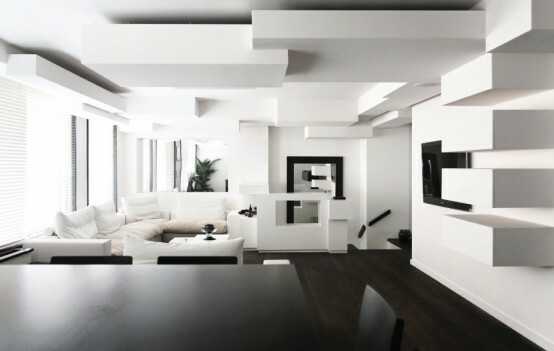 The result is a living space that looks dynamic and very unique.